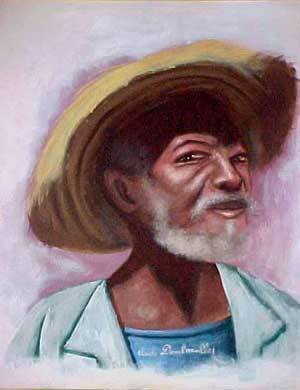 Claude Dambreville, painter, writer and journalist was born in Port-Au-Prince on December 17,1934. As a young man he joined the centre d'art and took courses by mail from ABC in Paris. His passions were journalism, painting and writing. He studied artistic anatomy under Nehemy Jean at "L'atelier" where he met Petion Savain. In 1973 he married Savain's daughter. He has exhibited throughout Africa, the US, Latin America, Europe and Haiti. 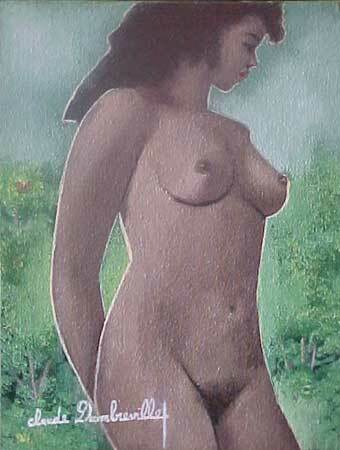 Both galleries and collectors covet his paintings. His collectors include Pierre Cardin, Denzel Washington, President and Mrs. Mitterand who sponsored him in Nimes and Paris in 1991. He is famous for his favorite subject "Women of the Markets".